Can Roberto Mancini right the wrongs of a tricky decade and usher in a new era for Italy? It was in November 2017 at the famed San Siro in Milan that Italy suffered one of their most humbling defeats. The scoreless draw in a World Cup qualification playoff, after a 1-0 defeat to Sweden just three days earlier, meant the Italians failed to qualify for the quadrennial tournament for the first time in 60 years. Too many errors and the inability to score goals doomed Italy’s hopes in the end against a Swedish side that would impressively go on to the quarter-finals in Russia. Indeed, the 2018 edition would go on to be arguably one of the best World Cups in modern history with Sweden one of its surprise sides, alongside runners-up Croatia and the host nation itself. For the Azzurri, missing out on the finals proved a national humiliation and left this storied nation, which had only celebrated a fourth World Cup title as recently as 2006, reeling for many months that followed. 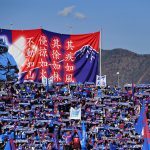 The usual round of finger-pointing ensued on television, inside the pages of the country’s three major sports dailies, and at nearly every bar from Venice to Palermo. Italy’s inability to qualify was blamed on a few factors. 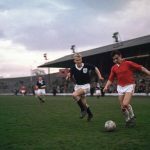 The big clubs like Juventus, too preoccupied with trying to win club titles in the eyes of some, had failed to groom enough young Italian talent – or at least give them a proper chance. Often forming the backbone of the national team, without a strong, youthful Italian core in Turin – as well as at other clubs – the pipeline had dried up. Indeed, the over-reliance, some argued, on foreigners had sunk Italy’s hopes. Others blamed the Italian Football Federation, saying their choice of manager, Gian Piero Ventura, who lacked notable success at club level and was 68 when he took the job, was a money-saving option, instead costing them dearly in the end. On the pitch that night, Ventura’s failure to put on Napoli striker Lorenzo Insigne remains one of the biggest what-ifs. Another complaint took aim at the team’s experienced players, like defender Giorgio Chiellini and striker Ciro Immobile, and their failure to perform to their club standards when it mattered most. The latter’s inability to score, when he’d been so prolific with Lazio, was largely blamed on the manager’s naive, stifling tactics. 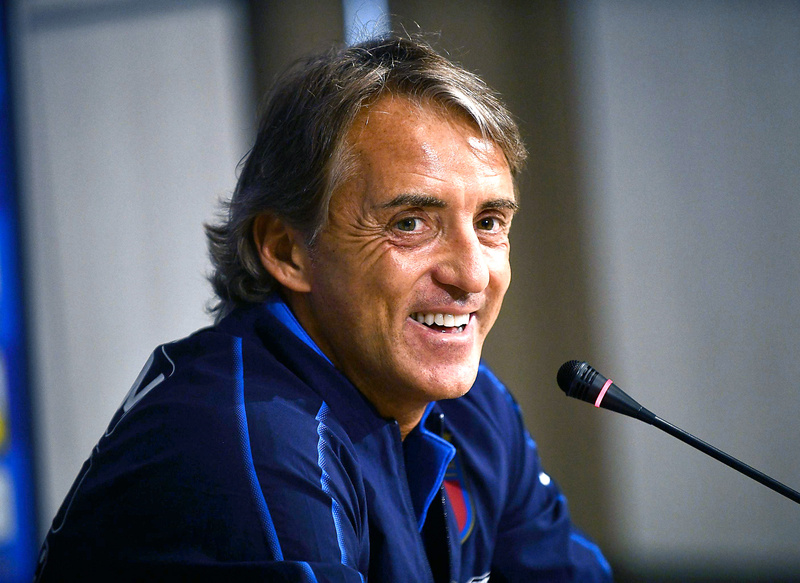 Six months later, on 14 May, following months of speculation, the federation officially announced the hiring of Roberto Mancini as manager. In a country as passionate about the game as Italy, the decision was greeted with mixed reviews. Some praised it, saying Mancini would inject much-needed flair into a team that’s traditionally relied on defence – the dreaded but often effective Catenaccio. Others argued the former Manchester City manager would rely on old faces when a changing of the guard was necessary. 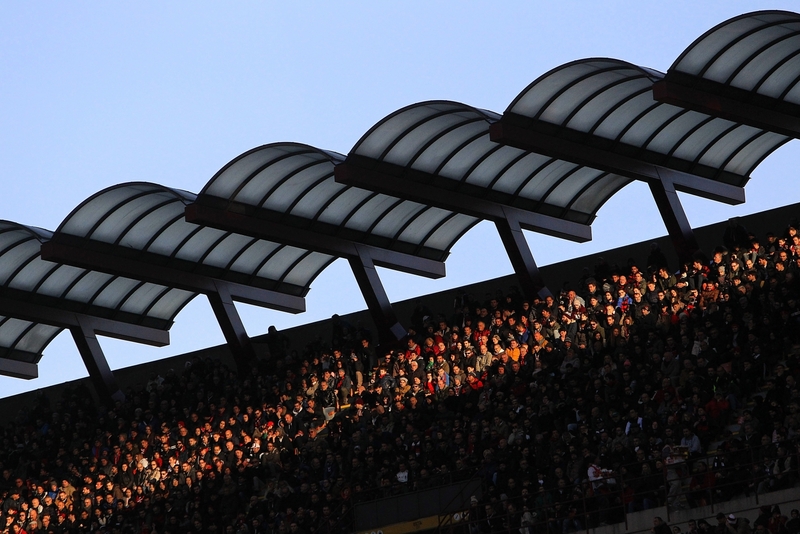 A year since the San Siro disaster and just six months since Mancini’s hiring, it remains to be seen whether Italy are progressing at the rate its rabid fans expect. With the European Championship less than two years away and qualification for Qatar 2022 on the horizon, Mancini needs to decide on a formation and on which tactical approach to employ. He’s has failed to do either in the games Italy have played in recent months, fuelling speculation he too may fail at national team level and that the country’s problems are much deeper than anyone could’ve expected before last year’s failed qualification. “A new era has already begun,” Mancini told reporters after a 1-0 away victory against Poland in October. It was only Mancini’s second win as manager. Even though the team regularly features a new generation of stars – including Insigne, Jorginho, Federico Bernardeschi and Federico Chiesa – results and performances have been slow to come by. “There’s no such thing as wizards,” Mancini added. Mancini’s words were largely targeted at the public watching on TV back home in a way of tempering expectations. There are no quick fixes at international level, where the manager doesn’t have the luxury of regularly meeting and coaching his players and where injuries elsewhere often dictate team selection. Italy return to the scene of the crime on 17 November when the four-time world champions take on Portugal at the San Siro in the UEFA Nations League. In some ways, the Italians need a win like they did a year ago. A World Cup spot isn’t on the line this time, but this is a team playing for pride and one that needs to show everyone it is on the road to success after what has been years of sub-standard performances. To fully grasp the problems plaguing the Azzurri, one must look at Italy’s recent past. The lack of form and yo-yo results started in earnest during the summer of 2010. After winning the World Cup four years earlier with Marcello Lippi at the helm and the heroics of Gianluigi Buffon, Fabio Cannavaro, Andrea Pirlo and Francesco Totti, the Italians showed up in South Africa amongst the favourites. Placed in a relatively easy group with Paraguay, Slovakia and New Zealand, they could only muster two draws and a defeat – a 3-2 loss to Slovakia in the final group match at Ellis Park in Johannesburg – that embarrassingly saw them finish rock bottom. It was a humiliating end for Lippi and the holders, although not one that was entirely unexpected given how poorly reigning World champions have routinely performed at past tournaments. As a result, the defeat was largely seen as a one-off, with a new era set to be ushered in. Two years later, at Euro 2012, the Italians, under Prandelli, were reborn thanks to the midfield heroics of Pirlo and scoring prowess of Mario Balotelli. It was Balotelli’s first-half brace in the semi-finals that helped power Italy to a 2-1 victory against Germany. His second goal represented a moment of sheer individual brilliance and a reminder why Prandelli and, at the time, Mancini at Manchester City, had argued that the centre-forward’s seemingly endless antics and unpredictability had been worth dealing with. Italy would go on to lose the final to Spain 4-0, but they had proven their worth. The Azzurri, it seemed, were back despite failing to lift the trophy and with Serie A no longer considered among the top three domestic leagues in Europe. At the 2014 World Cup in Brazil, Italy were drawn into Group D alongside England, Uruguay and Costa Rica. Prandelli was at the centre of the flop this time as they lost to giant-killers Costa Rica 1-0 and to Uruguay in the decisive final fixture by the same scoreline, a match marred by the now-infamous Luis Suárez bite on Chiellini’s shoulder. Balotelli proved largely ineffective at that tournament and several others, including as Marco Verratti and Immobile, were too inexperienced for such a pressure-filled competition. Prandelli resigned and Italy had to rebuild once again. The former Fiorentina boss now blames the federation and Serie A teams for benching Italian players in favour of foreigners for his team’s poor showing. To emphasise his point, the start of the 2015/16 season saw 60 percent of the league’s players as being foreign-born. Their presence has risen sharply. By comparison, during the 2003/04 season, international players made up just 33 percent of the league, this at a time when Serie A was widely considered the best in the world. The trend persists to this day. An analysis conducted at the start of this season by the daily La Stampa revealed that 134 foreign players saw time during Serie A’s opening weekend, compared to 90 Italians. This dilemma dogged Antonio Conte when he managed Italy in the lead-up to Euro 2016. With fewer players to choose from and even fewer Italians opting to sign with clubs abroad, Conte’s choices were limited. Nevertheless, he made the most of them as Italy went as far as the quarter-finals, losing to Germany via a penalty shootout, memorable for Simone Zaza’s bizarre attempt that became an internet meme. Ventura, who currently coaches Serie A side Chievo, was appointed as Italy boss after the Euros when Conte opted for a return to club management at the end of his two-year contract. A year later, his contract was extended to 2020, despite the Italians looking inconsistent during qualification. A 3-0 defeat to Spain over the summer pushed Italy into the World Cup playoffs and that fateful two-legged affair against Sweden. After failing to resign, Ventura was fired and a fight over his payout ensued. The veteran manager, however, remained defiant. “I lost only two games in two years,” he told Italian television show Le Iene in a brief interview. In the ensuing months, a number of managers were rumoured to be his replacement, including Conte and Carlo Ancelotti. Instead, the federation settled on Mancini. In the time since Mancini has taken over, there has been a mini-rebirth. While Cristiano Ronaldo’s move to Juventus grabbed all the headlines this summer, and brought a newfound positive spotlight on Serie A, several Italian players have emerged as starters at big clubs. Juventus defender Mattia Caldara, AC Milan striker Patrick Cutrone and Napoli winger Simone Verdi are having excellent seasons. To add to that sense of promise and a further reason for changing the guard, Italy finished third at the recent Under-21 European Championship. Bernardeschi, who scored two goals during that tournament, was one of the competition’s standout players, though he continues to see action largely from the bench at Juventus, held back alongside the likes of Daniele Rugani from making a serious impact. 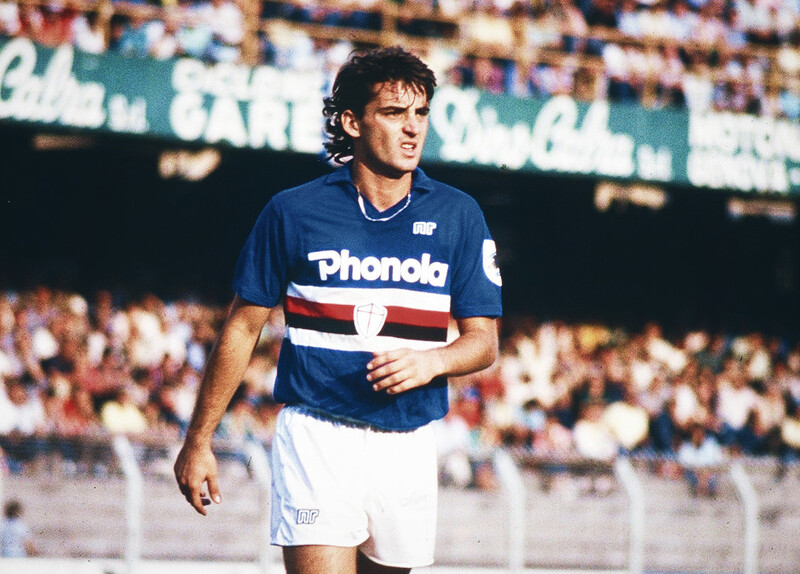 Mancini was a successful player in his own right back in the day with Sampdoria and Lazio, but never a star with the national team at a time when there were many more attacking options. He only won 36 caps for the Azzurri, registering just four goals along the way, from 1984 to 1994, before retiring as a player in 2001. As national team manager, he’s collected just two victories in seven games; the hope is that his time on the touchline for Italy doesn’t mirror that of his playing days, when his undoubted skill was held back often for reasons beyond his control. All eyes will be on Mancini to see if he can overcome the problems of the last decade and usher in a bright new era for the Italian national team.